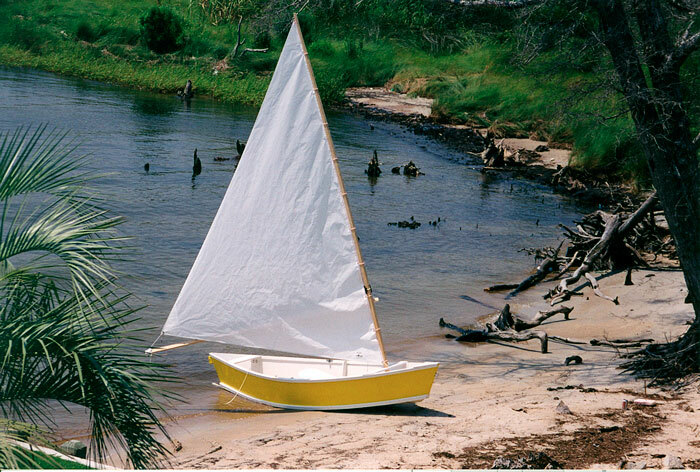 For Christmas 2001, Tom Koenig's wife gave him Dynamite Payson's plans for Teal, a Phil Bolger-designed double-ended sailing skiff, 12' long and 3'6" beam. He spent the winter building the boat. 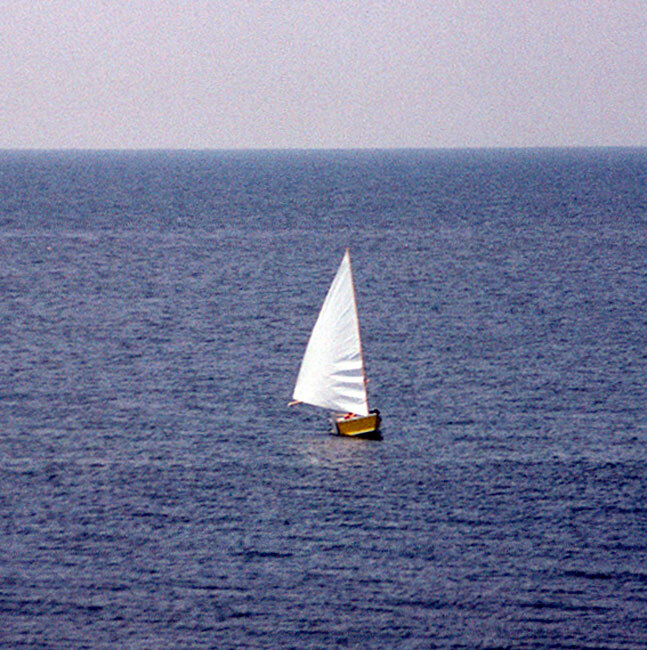 For her launching in July 2002, he drove five hours from his house to Pamlico Sound, NC. He plans to use her mostly on Kerr Lake, NC.